Hulu is an outstanding media sharing platform, which is similar to YouTube, Netflix, Facebook, Vimeo, etc. It is your best option to enjoy TV shows, online movies, music clips and more recent episodes from Hulu. Additionally, there are all kinds of entertainment videos streamed from Hulu and some of them can be subscribed according to your own willingness. Of course, Hulu has free access to plenty of fresh TV contents, immersing itself in creating wonderful online video experience to users. Perversely, Hulu takes strict protective measures to prevent users from downloading videos considering that Hulu has a large number of video clips as well as TV episodes, which are not uploaded by users. Have you ever wondering how you can keep all your favorite Hulu videos on your PC in order to watch them offline without limitation? Don't worry. Here comes an amazing Hulu video recorder, called Joyoshare Screen Recorder, which is specialized in helping you losslessly record any video from Hulu on your PC. As one of the most excellent video recorders, Joyoshare Screen Recorder can provide all-in-one solutions to users with comprehensive recording options. It can be used to capture movies, TV shows, music videos, etc, from Hulu. Alternatively, any other screen videos is permitted to be grabbed via Joyoshare Screen Recorder, for instance, streaming game video, online movies, GoToMeeting webcam conference, Skype video calls, Facebook video chats, etc. 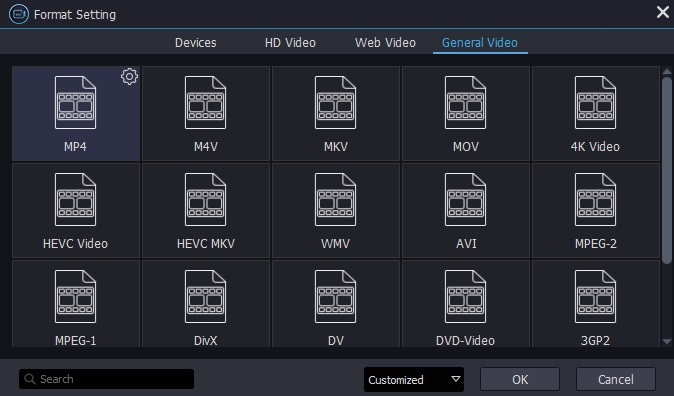 Equipped your computer with this effective video downloader, you can feel free to choose output format as MOV, MKV, M4V, MPEG, MP4, etc. Attractively, Joyoshare Screen Recorder comes with abundant recording options, which are made up of selecting output formats, choosing storage location, presetting scheduled capturing task and so on. To make you enjoy Hulu videos recording totally, Joyoshare Screen Recorder includes full supports for saving destination files to any formats and devices with high quality. Magically, it can be considered as an independent audio capture as well to assist you to keep any screen audio tracks dedicatedly. How to Record Hulu Videos with Simple Measures? You are supposed to follow the instructions on your desktop screen to install Joyoshare Screen Recorder on your PC. Once finished, go straight to click and launch it. It is easy for you to see a "+" button located on the top left corner, which is designed to give you an access to decide the capturing screen size. Simply move the adjustable window and pull on the edges of the frame so that you can find a suitable recording area. Other methods, like choosing a systematic standard size and importing specific numbers, are supportable. 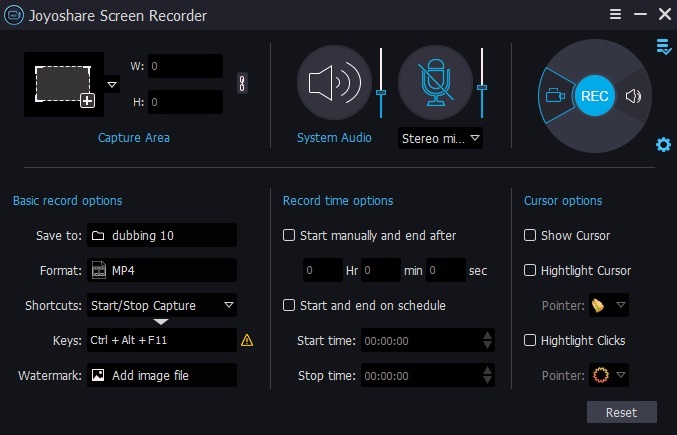 Similar to some types of video captures, Joyoshare Screen Recorder offers ability to close system voice or microphone sound as you want, which is proved as a practical approach to get rid of unexpected noise and avoid unnecessary intervention during capturing process. Note: Assuming you would like to utilize Joyoshare Screen Recorder to record audio only, it is also supportable being as an independent audio capture. Pay more attention to following recording options, knowing what you can set clearly. Joyoshare Screen Recorder enables you to customize a special Hulu movie or TV show capturing on the basis of your preference. It allows you to set storage location, choose output format, create a scheduled task, etc. Note: There are a wide range of output video formats you can choose at will. 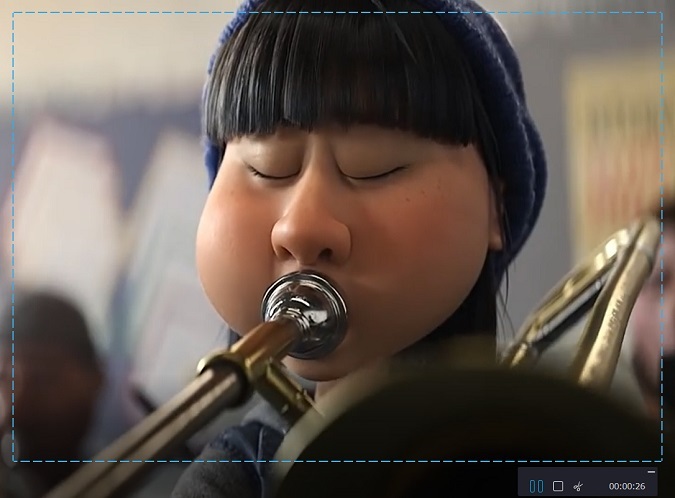 Open a Hulu video that you want to record and click "REC" button to start capturing. You are given 3 seconds to get ready. 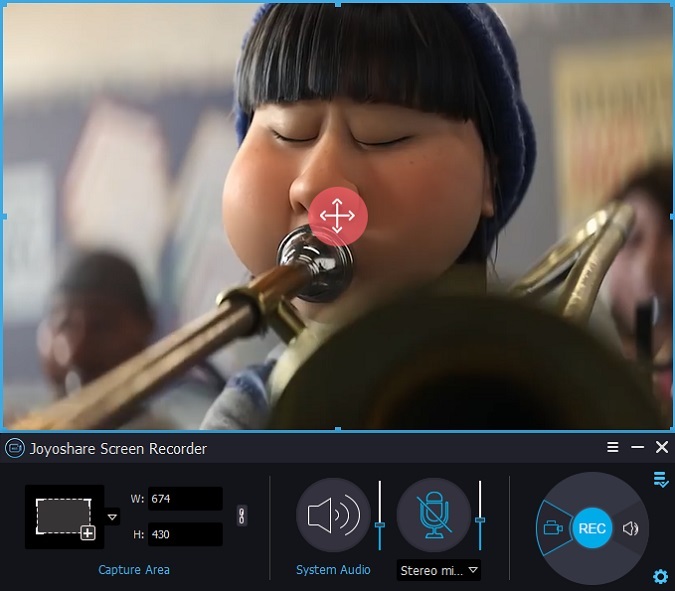 During recording process, Joyoshare Screen Recorder is able to take screenshots anytime by making full use of shortcuts, trim video to different segments by taking advantage of "Scissor" icon. Lastly, press "Stop" button to end Hulu video recording. 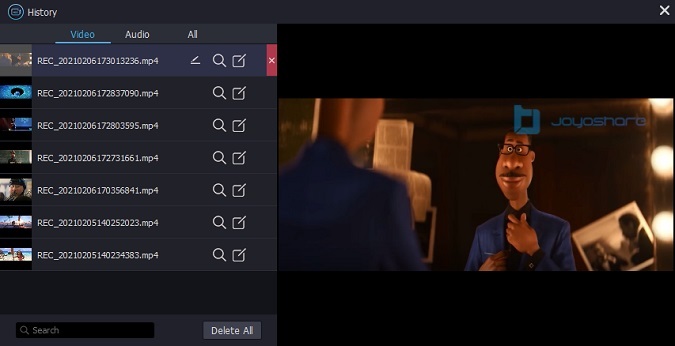 All completed recorded Hulu moves, TV shows or music videos are saved to "History" interface automatically, which can be edited according to actual demands, through which you can preview destination file, revise its name, correct ID3 tags information, etc.